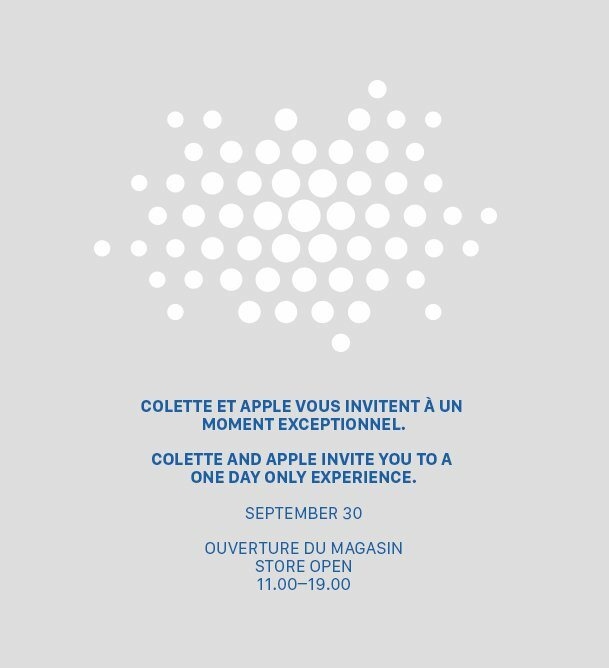 French fashion retailer Colette and Apple are planning a “one day only experience” tomorrow, Sept. 30. The event will be held at the company’s Paris store, according to a posting on the company’s website. No further details have been announced about the event, which runs from 11 a.m. to 7 p.m. local time. 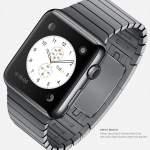 Given what Colette does, we can safely speculate that the Apple Watch is involved in some way. 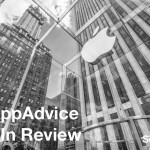 This isn’t the first time that Apple and the fashion industry have teamed up. In September 2013, Burberry filmed its entire London fashion show using the iPhone 5s. This was just months before Burberry’s then-CEO Angela Ahrendts became Apple’s senior vice president of retail and online stores. First announced on Sept. 9, the Apple Watch is expected to launch in “early 2015.” The wearable device will be available at pricing levels starting at $349. The most expensive of these is the Apple Watch Edition line, which feature an 18-karat rose or yellow gold case and a choice of straps exclusive to this collection. See also: 5 possible reasons the Apple Watch has been delayed, and TAG Heuer plans to launch own smart watch to take on Apple Watch.